However, it has highlighted serious questions as to why the Sarawak company was ever allowed such permits in the first place and why, despite the payment, Ta Ann is still being allowed to source wood from Tasmania’s threatened forests? Campaigners from the Huon Valley Environment Centre, who exposed Ta Ann for falsely marketing their wood “eco-friendly” in Japan, are calling for the company to be expelled altogether, particularly given the growing internationalrecognition of Sarawak’s timber corruption and Ta Ann’s own highly questionable record. 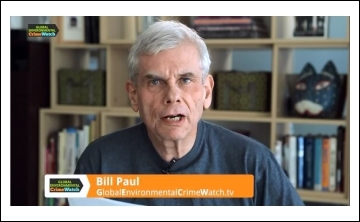 “Here is a company that is responsible for misleading their Japanese customers with the source of their Tasmanian product, extensive and proven links with criminal abuses of power and environmental destruction that has violated the human rights of indigenous people in Sarawak, Malaysia. And now the Australian Government will pay Ta Ann $28.6 million, the community have been misled to believe the company was going to leave” [Jenny Weber, Huon Valley Environment Centre]. 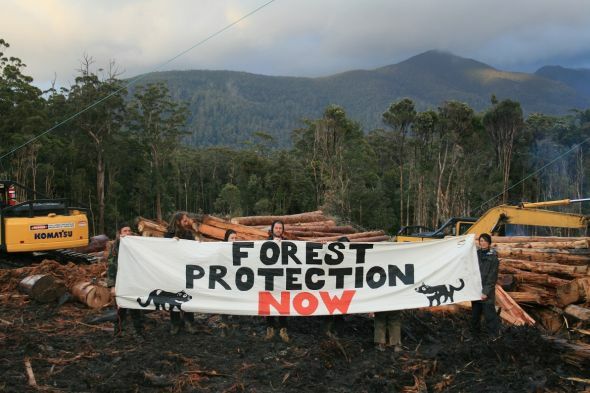 Progress and clear vindication after a determined campaign, but Ta Ann is still felling forest in Tasmania. The announcement is a surprise move after a bitterly contested Forest Agreement, designed to protect Tasmania’s threatened forests, came into force this month. 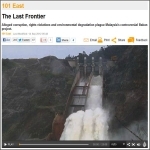 Controversial – Evan Rolley was a key Forestry Department negotiator in Ta Ann’s 2006 agreement to source wood in Tasmania. Last year he moved to become their Chief Executive in Tasmania. Prolonged negotiations had been almost derailed by political supporters of Ta Ann, who threatened to pull out if the company continued to be criticised by Green campaigners, who want the company to cease operations altogether. The compromise solution, supported by NGOs such as WWF and the Wilderness Society, but not the Green Party, has not halted further logging in a major conservation zone, but accepts that past contracts should be honoured. The most controversial of these is the 2006 contract with Ta Ann allowing it to source wild timber for its two veneer factories in the state. 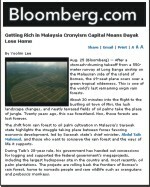 It was therefore a major step forward when on Friday, Ta Ann Tasmania, whose Chairman and major shareholder, Hamed Sepawi, is Sarawak Chief Minister Taib Mahmud’s cousin, announced that it had unilaterally accepted a federal government payment amounting to AUS$28.6million, in return for giving up around 40% of the wild timber rights that it had originally secured from Tasmania’s State’s Forestry Department back in 2006. 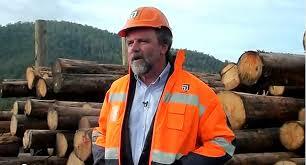 The Head of Forestry Tasmania at that time, Evan Rolley, is now the Chief Executive of Ta Ann Tasmania. 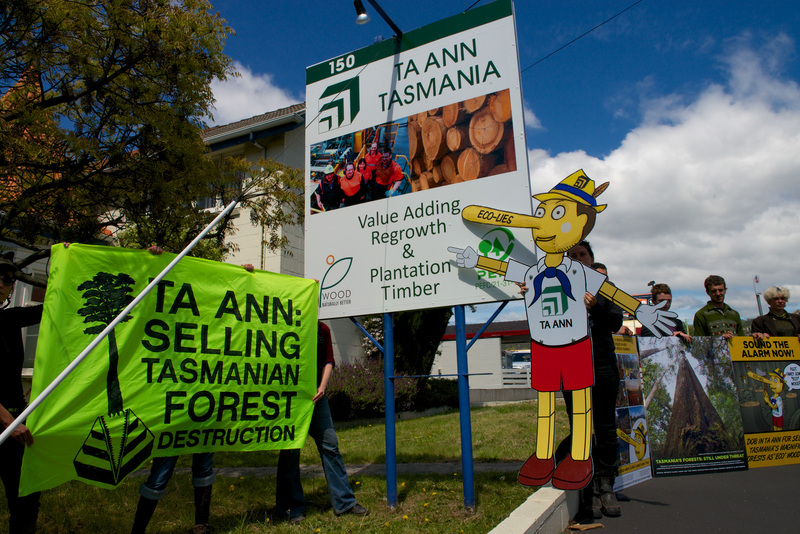 Green campaigners say they are of course hugely relieved at the decision by the Federal Government to pay off a large chunk of Ta Ann’s claims to Tasmania’s forest areas and regard it as vindication for their concerns. The partial payment to Ta Ann reduces the damage the company will do in the state, but it will fuel demands for more information about how the controversial Sarawak company run by Taib’s cousin was granted its opportunities. Bryan Green – the State Energy Minister has been a key supporter of Ta Ann. Back in 2006 it was claimed that Ta Ann was planning to use only plantation forest wood to process in the two saw mills that it was proposing to build. The company was even awarded some $8million dollars of public subsidies to support its investment. But, in practice all Ta Ann’s wood has been sourced far more cheaply from natural forests remaining in the state, thanks to the terms of its actual contract. In a speech in 2006, Ta Ann Chairman Hamed Sepawi publicly joked that he had made sure to place one of the two mills in the constituency of Paul Lennon, then the State Premier and the other in the constituency of Bryan Green, who remains the State Energy Minister and Deputy Premier. 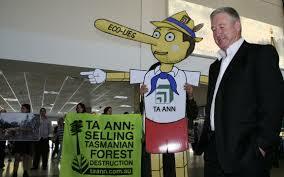 Green, who has energetically protected Ta Ann, even travelling to Japan to fight criticism about the company’s false eco-claims, is now receiving blame for the expensive bail out by taxpayers. Likewise, in the same speech, Sepawi praised the then Forestry Chief Executive Evan Rolley for always being on hand to assist in the deal, memorably dubbing him “Captain Evan Rolley”. Rolley, who has now moved to become Ta Ann’s Chief Executive is another person who has been singled out for criticism over costing the tax payer with this bail-out. Sarawak Energy Chairman Hamed Sepawi (left) signs up Hydro-Tasmania’s David Crean services to lead the company’s dam building projects. Readers of Sarawak Report have long been aware of the concerns over Ta Ann and its controversial Chairman Hamed Sepawi, rated as one of Malaysia’s richest men. 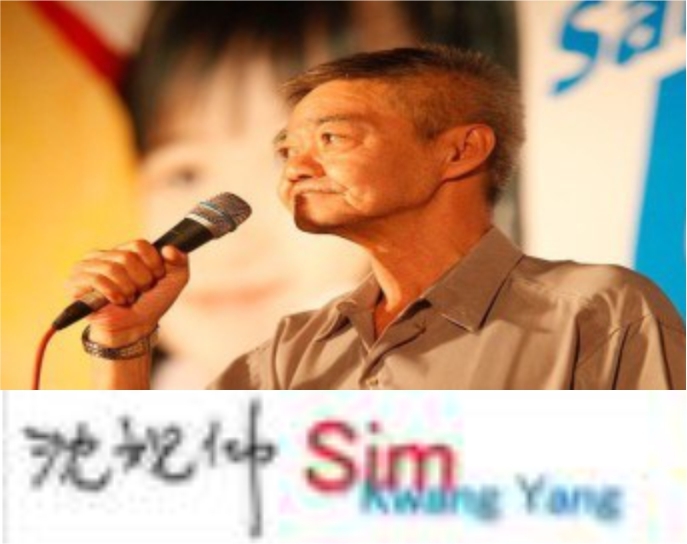 He is widely regarded as one of his cousin Chief Minister Taib Mahmud’s key business proxies in Sarawak, exploiting vast contracts and concessions through companies such as Naim Cendara and Sarawak Plantation, as well as Ta Ann. 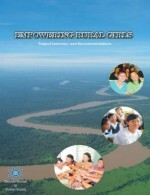 Sepawi also occupies key public positions such as Chairman of Sarawak Energy and formerly of the Timber Industry Development Corporation. 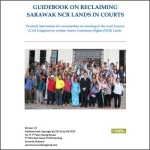 Ta Ann has been widely condemned for unethical treatment of the rights of Sarawak natives in their various enormous concessions and has also been struck off the investment list of Norway’s public pension fund (the world’s largest) following investigations. The pension fund follows criteria on deforestation and climate change issues when selecting its investments. 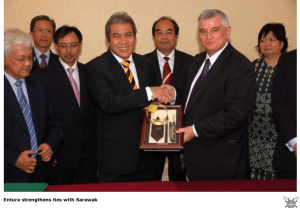 Sepawi himself was exposed by Sarawak Report for having transferred a huge multi-million ringgit acacia concession, granted by his cousin Taib to the Ta Ann group, into his personal ownership without informing shareholders. The company, Grand Perfect, had razed to the ground the homes of local people on land which had been handed to the plantation. Another of Sepawi’s privately owned timber companies, Atlantic Resources, has also been recently kicked out of Liberia (African Congo) for being involved in “massive fraud, misrepresentations, abuses and violations of the National Forestry Reform Law”, in the words of the country’s own President. 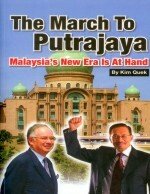 Given that Hamed Sepawi is also the head of Sarawak Electricity, which has been commissioning Hydro-Tasmania to work on the furiously contested plans to build 12 destructive dams in Sarawak’s Borneo Jungle, the enthusiasm amongst certain political quarters in Tasmania for keeping his controversial company operational in the state looks certain to continue to be a source of conflict. 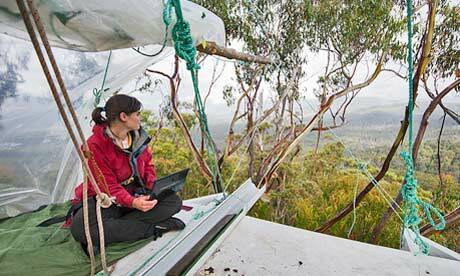 Vindicated – Tasmanian activist Miranda Gibson spent an astonishing 457 days living in this Observer Tree to prevent Ta Ann from destroying wild forests.